3D Hybrid Solutions, Inc., Seal Beach, CA, provider of metal-printing tools for CNC machines, announced a joint venture with Multiax International, Brugnera, Italy, builder of large-format five-axis CNC machines. The collaboration targets the large-scale metal-AM market with what is believed to be the world’s largest 3D metal printer, having a printable space in excess of 500 m3. It also will be one of the fastest, with speeds beyond 20 lb./hr. 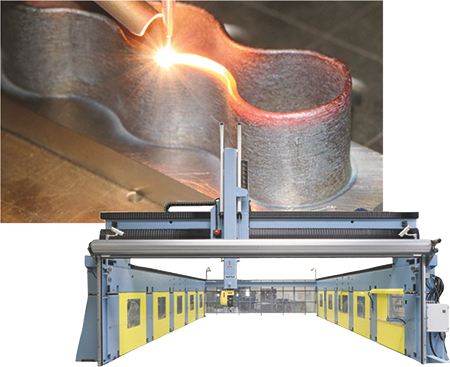 The addition of a metal-printing tool for a CNC machine addresses the inherent need for post-machining of 3D metal parts, while bringing added benefits such as machined internal features and five-axis printing.